GOLD FEATHERS. ADVENTURES, INSPIRATION, AND OTHER LOVELY THINGS. : GOLD FEATHERS VINTAGE SHOP GIVEAWAY. 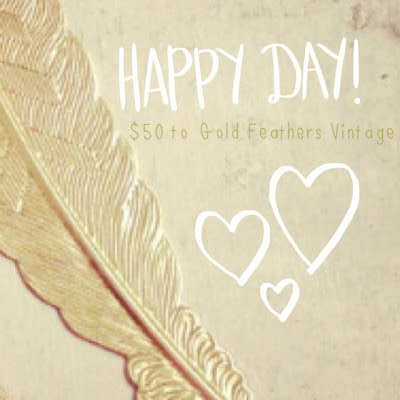 GOLD FEATHERS VINTAGE SHOP GIVEAWAY. and tag @goldfeathersvintage and #goldfeathersvintagelove. a winner will be randomly chosen on saturday.